Millions of children struggle with bedwetting (a.k.a “nocturnal enuresis” ) every night. In fact, after 5 years old, some 15% of children still wet the bed. The good news is, 98% of children will be able to have dry nights on their own. Bedwetting alarms are acknowledged as the most successful form of intervention to help speed the process along. In this article, we’ll take a look at the best bedwetting alarms on the market today. We’ll also share some great tips on things you can do to help them have dry night after dry night. You can jump straight to the best bedwetting alarm reviews if your time is limited. Are Bedwetting Alarms Too Expensive? Bedwetting can seriously affect a child’s self-esteem and limit activities such as camps, sleepovers and overnight trips to friends and relatives homes. Not to mention interrupted sleep for all the family and lots of laundry. The good news is bedwetting alarms have been scientifically proven to help in around 2/3s of cases. Improvements can also be seen in under 4 weeks of use (sometimes in as little as days!). 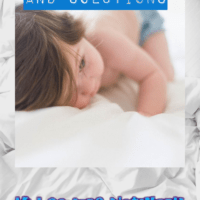 There are many causes of bedwetting and all of them are not your child’s fault! It is something they don’t have conscious control over. Some of the common causes include a bladder that can’t hold enough urine, overproduction of urine, a weak pelvic floor, constipation and in some cases hereditary issues. 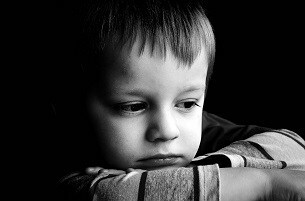 There are two general forms of treatment for nocturnal enuresis – psychological and pharmaceutical. There are drugs such as Desmopressin that are effective at limiting the production of urine. Naturally, most parents prefer alarms over medication, and they are the most effective psychological treatment. A bedwetting alarm typically consists of a sensor and an alarm. The sensor is attached to your child’s underwear and the alarm unit is attached to their pajamas. The best bedwetting alarms vibrate and some even have flashing lights. Other types of bedwetting alarms include sensor pads with wireless alarms and also specialist underwear with a fitted alarm. All these alarms work by psychologically training your child to recognize when they have a full bladder. They can then make it to the bathroom of their own accord. 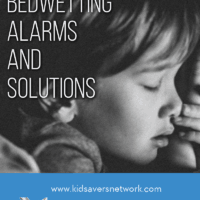 When I first heard about bedwetting alarms, I wondered how they could work. Surely, once urine is detected the alarm would be useless in stopping it? Not so! Bedwetting alarms are scientifically proven to help over two-thirds of children have dry nights (classed as 14 nights in a row). Further studies show 72% of alarm wearers slept the entire night more than 80% of the time they were dry. Having a full night’s sleep must give a great lift to these children – and their families! Unlike medication, your child will all stay dry even when they stop using the treatment. This is a great question. When I first discovered how much they are I would say “Yes!”. Then I sat and thought things through. Many families are spending around $30 a month on pull-ups, are on their 3rd, or 4th mattress. When you factor this in and the improved emotional well-being of your child, the $100 or so doesn’t seem bad at all. The alarm will pay for itself in 2 – 3 months with the savings made in pull ups utility fees, detergents and softeners. Plus there’s the added bonus of finding a solution that doesn’t involve medication! Here are 5 of the best bedwetting alarms and solutions on the market today. If you’re looking for a wireless bedwetting alarm, the FlexBuddy 2 is the the solution. The FlexBuddy is a different design to the traditional versions which have been around since the early 80’s. A patented magnetic sensor clips on to the included briefs, or any cotton pair your child prefers. It is held in place with a Velcro strap. Once urine is detected, a signal is then sent wirelessly to a receiver. The sensor is both easy to clean and attach to the waist line. Most kids can do it in the dark in just a few seconds. The receiver is mains powered and Drybuddy say the transmitter’s batteries can send 3,000 signals – so it will never run out. The remote also works up to 27 meters away, allowing you to turn it off from your own bedroom or the living room. Flexbuddy’s remote control system also helps reassure kids that parents are helping, too. It also allows you to quickly turn off the alarm before it wakes up the entire household. Worried your kid is a heavy sleeper? Well, they have designed a two-step solution for that. Firstly, the alarm itself is very loud. At 8 inches away it registers 97.2 decibels. To give you an idea, 100db is like being inside an ambulance with the sirens blaring. If you’re worried that this might actually be too loud, there is a 5-level volume control as well. The second way Flexbuddy combats heavy sleeping is with their “Bedshaker”. This is a great name, but actually it’s just a vibrating pad that can be placed inside the bed. Still, the simplest ideas are often the best and other comparable alarms don’t have it. This system seems pretty complex, so I initially wondered if it was safe? It’s pleasing to see that it has FDA, FCC, and CE Safety certification. It’s also great to see they’re manufactured by Drybuddy, who are located in Savannah, Georgia. The Flexbuddy briefs are available sized 22” right up to 32”. They are available at Amazon.com and on this page you’ll find lots of reviews from parents. Unlike other bedwetting alarms which usually need your child to wear a sanitary napkin, the Malem Ultimate simply clips onto your child’s cotton underwear. You don’t need to use any kind of tape and it stays in place throughout the night. The wetting alarm itself clips onto the outside on their pajamas shirt. With 8 random sounds, flashing lights, and a vibrating alert your child will not be able to “zone out” and ignore it. The only downside is you can’t pre-set the sounds so they’re completely random. Many parents have had a great deal of success with this alarm in under two weeks. You can read their stories here. Their advice is to clip the alarm on and then put on a pair of pull-ups over it. This will help keep PJs dry. You’ll also need to explain how to use the alarm to your child. When it firsts goes off it will cause a lot of confusion! The alarm doesn’t stop just by pressing the button. They will need to get up and remove it from their underwear first. The idea behind this (and it is a great one!) is that your child will finish urinating in the toilet, rather than ignoring the alarm and finishing in bed! Another great tip is wearing tight fitting underwear so the sensor is closer to the skin. This way the alarm will send right away and your little one won’t be soaked through. Malem bed wetting alarms have been helping children beat bedwetting since 1979. Sure, there are more “High Tech” options on the market. But for a safe, tried and tested method that won’t break the bank they remain a great choice. The Chummie alarm has a lot to set it apart from its competitors. It’s small, compact at just 1 oz and very “Kid Friendly” with light-up eyes and a smiley face. This is an important point not to be overlooked. The success of any bedwetting program is dependent on how well your child takes to it and this one is very cute! Like most of the top rated wetting alarms, this one has programmable sounds, lights, and vibrations. It also comes with a smartphone app that you don’t need to pay for (unlike the “Therapee”). Another great feature about the Chummie alarm is there is a low-battery warning. A lot of the cheaper alarms don’t have this. The only time you’ll know the batteries have run out is when you have a wet child, bed, and sheets. Also unlike the cheaper alarms, battery life is much longer and should last for a month. As well as a low battery alarm, the alarm will also let you know if the hypoallergic silicone sensor has become detached during the night. The sensor is taped on to underwear and has been specifically designed to be comfortable to wear. The unit is really easy to clean and can be ready to go again in seconds. Many children have successfully used the Chummie and you can read their parent’s reviews here. The downside to the alarm is that it’s super-sensitive. There have been a few reports of the alarm going off after children visit the bathroom. Also, some parents say that sweat can also trigger the alarm. A good solution for this is to change underwear after every trip to the bathroom. You can also wrap the sensor in a piece of paper towel if it becomes too much of a problem for an easy workaround. As bedwetting has been proven to be mostly a psychological problem, you’d be right in thinking a psychiatrist could help. 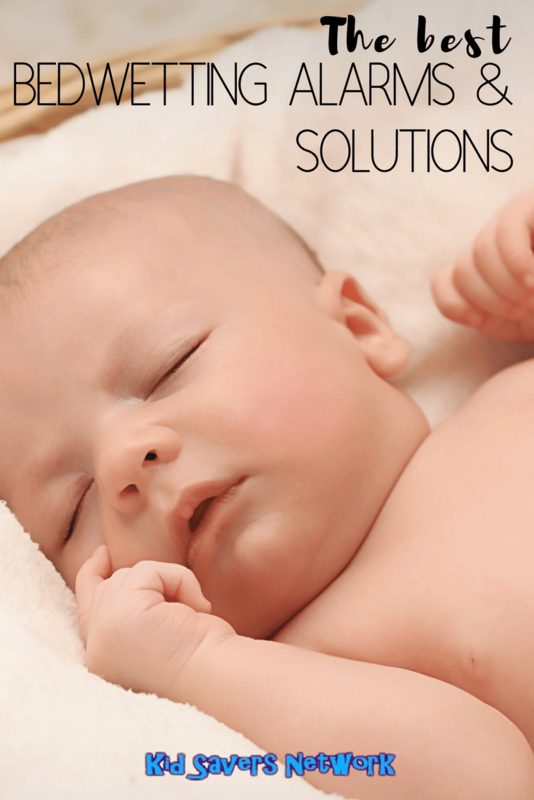 Well, the Therapee Bedwetting solution has been developed by one, Dr Sagie, and his 30 years of clinical trials. Therapee claim a 90% success rate in 30,000 trials since 1984, but say the treatment could take 3 – 5 months. The other alarm manufacturers advise you to stop using their product after 3 months to give you a reference point. How is the Therappe different other bedwettng alarms? Well, as you can see it’s more of a pad that is placed under a sleeping child. There’s nothing to clip on to PJs or underwear so it’s completely wireless. This could be a big selling point for children who toss and turn a lot at night. Or older children who feel particularly self-conscious about having sensors clipped to their underwear. The other big difference with the Therapee solution is that it’s fully interactive. There is a “virtual therapist” who will provide feedback and assignments based on the information from the sensor. This is great for keeping both the child and parents motivated to finish the course. For a bedwetting alarm, the Therapee is a considerable investment. However, on Amazon.com you can find many verified reviews from parents discussing just how effective it really is. If you’re looking for a budget bedwetting alarm, the “Dryeasy” looks to be the pick of the bunch. The design is similar to the Malem and Chummie models. There is a sensor that clips on to your child’s underwear and the alarm unit goes by the collar bone. It’s great to see this design also has 6 different sounds and a vibration setting. You can choose to stick with one of the sounds or have them on random. There are 4 different levels of volume and the loudest is 85db. To give you an idea, that’ll be like a diesel truck in their bedroom going 40 m.p.h! To turn the alarm off, you need to press a button and remove the sensor from the underwear. This 2-step process prevents your child from just going back to sleep on a wet bed – so that’s a great feature. Interestingly enough, some parents who have tried more expensive alarms say the sensor is better! They say that if the sensor is too sensitive just sweat alone can (and does) set it off. So the “Dryeasy” has some of the features of the more expensive alarms, but what are the downsides? Well, the reason that it’s so cheap is that it’s made in China. That in itself is not a bad thing as quite a few parents have said it helps their child. You can read their reviews here. Many parents also report the sensor is hard to attach to the underwear and keep on. As mentioned above, using pull-ups over underwear will help keep it in place and also spare your sheets. In conclusion, the Dryeasy is a great budget option for those on the fence about nocturnal enuresis alarms. 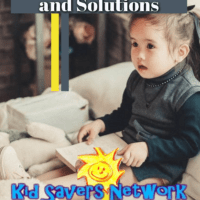 Here are some simple tips to further help your child. Don’t Punish Them Or Yourself! Many parents admit to either punishing their child or blaming themselves. Bedwetting is not a conscious choice! You can use rewards for things like resetting the alarm or visiting the bathroom. A good tip is to use a sticker or star system to keep them motivated, or perhaps a “Graduation Treat” when they hit the 14 nights dry target. Quite a few parents will wake their children and carry them to the bathroom. The concept behind the alarm is to consciously train your child to recognize they have urinated and when they have a full bladder. Some tough love is in order here! Having older kids help you strip the bed and helping with the laundry will help alleviate feelings of embarrassment. You can have sparring bedding easily accessible so they can do it themselves during the night. You can use a night-light or leave the bathroom light on to help kids make the bathroom in time. Remove any obstructions and leave the child seat on the toilet. If your children share a bed, make sure the one with the alarm sleeps nearer the edge. You can get your son or daughter to stop half-way through a wizz, count to 5 and continue urinating. After one or two weeks, increase this to 10 seconds and further increments. Drinks with any kind of caffeine in them make children want to urinate more often. Avoid soda, tea, coffee and hot chocolate. Juices with high acidity (such as orange and blackcurrant) should also be avoided as they are known to irritate young children’s’ bladders. The temptation is to limit all fluids, but drinking 8 glasses of water a day is beneficial for a child’s health. Urine that stays in the bladder gives a good place for bacteria to grow and a UTI (urinary tract infection) might develop. 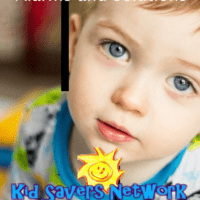 If your child really needs to go – don’t stop them! Use a waterproof cover to protect your mattress and duvet. A good tip is to use cold water or a mild bleach before washing as normal. More a “Short-term fix”, wearing pull-ups will help your family cope easier with bedwetting whilst you try more long-term solutions. Whatever method you choose, be sure to be persistent. The book “Attack of he Dry Nights” provides great inspiration for 5 – 10 year olds. Keeping motivated and keeping going is key according to many successful parents. To help get your child invested there are some great bedwetting stories such as Attack of the Wet Nights and The Case of the Wet Bed. For adults, many parents also recommend 7 steps To Nightime Dryness. The author is a pediatric nurse with lots of experience helping children with these issues. As mentioned, the drug “Desmopression” stops urine production at night. It’s taken at bed-time and many parents use it for special occasions like summer camps and out-of-town trips. Parents also try Desmopression if a bedwetting alarm was not effective. It’s more a “short-term” solution because it does not cure bedwetting. Visiting a chiropractor main seem a strange solution, but they claim to help nocturnal enuresis. Chiropractors say the problem is spinal nerves needing realignment to clear nerve interference. 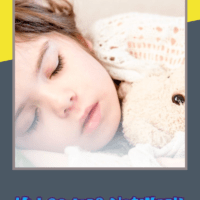 For more information, you can also read this great article on separating fact from fiction when treating nocturnal enuresis. Your child is over 5 years old and has never had a dry night. Wetting the bed causes emotional distress for the child (even under 6). Your child has started wetting the bed again after staying dry for a while. The situation is giving you cause for concern in any way. Your pediatrician will most likely refer you to a urologist who specializes in childhood incontinence.